Top 20 activities in Plettenberg Bay 2017. 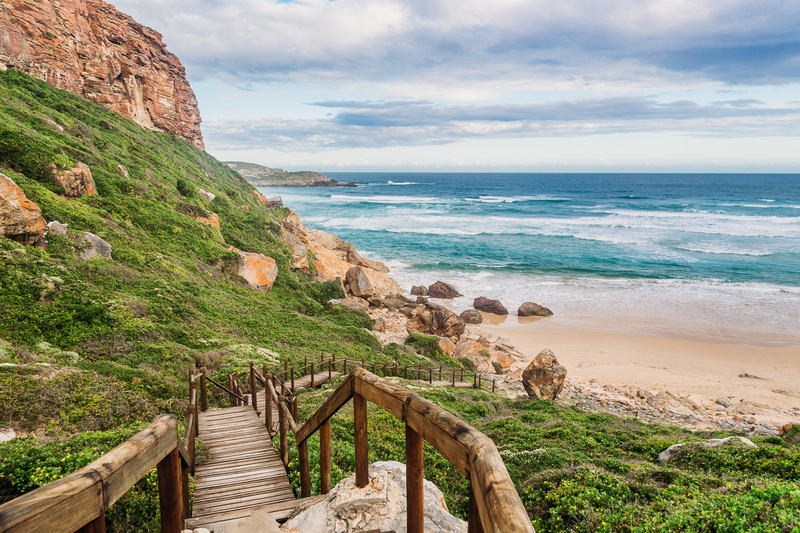 Situated along the gorgeous Garden Route, Plettenberg Bay is a trove of beautiful beaches, secret adventures, caring animal sanctuaries, surf spots and so much more; it’s a tourist destination of note, among local South African travellers and foreign tourists alike. Offering good, clean fun for the whole family, Adventure Land is a place of water rides, playgrounds, super tubes and more. There are also awesome braai and picnic facilities, as well as a take-away kiosk, if required. Highlights include the 75-metre super tube; 2-lane racer; kamikaze slide (with a 12-metre drop!) and even some kiddies’ slides and splash pools for the tots. For avid cyclists, the 14-kilometre, circular route at Buffalo Hills Reserve is an awesome outdoor experience. Here, you can enjoy riding a relatively easy route (though there are, nevertheless, some challenges in store), which should take you between 1.5 to 2 hours to finish. Ride through grassy plains, forest and then onto a single-track. What’s more, there’s a great ascent up a jeep track, where you can stop and admire the surrounding reserve’s spectacular scenery. Do a self-guided tour (minimum of three riders must participate) or opt for a guided one and learn about the forest and flora as you ride. Located some 20 minutes outside Plett, the Plettenberg Game Reserve is a wonderful place to experience African wildlife/terrain and to enjoy seeing the Big 5 in their natural habitat. 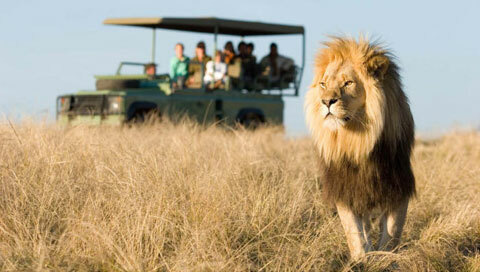 Two great activities to choose from when visiting are the game drive or horse safari, which both run for two hours. Or, if you want to experience something even more exotic, try the new 1.5-hour-long Elephant Safari. The game drive and horse safari both allow you to experience game on a real wildlife safari – either from horseback or from inside a vehicle. Found in the heart of the Garden Route, this unique attraction offers interactive family-fun. Activities are designed with all ages and sizes in mind and are intended to provide educational entertainment in an affordable way. Plett Puzzle Park’s main attractions are the life-sized 3D Maze (a first of its kind in SA) and the exciting Forest Puzzle Walk. There’s also an on-site childrens’ play area and coffee/puzzle gift shop set in a tranquil garden, with oversized garden games to keep visitors occupied. Birds of Eden – the world’s largest free-flight aviary – is a unique, two-hectare dome, spanning across beautiful indigenous forest. It aims to provide a sanctuary for birds, as well as miniature monkeys. Donations and bird releases once a protocol and criteria have been met, are welcome. With a mysterious ruin, walk-behind waterfall, 200-seater amphitheatre and some 3,500 birds, it’s an experience like no other. Home to an assortment of big cats (like lion, cheetah, Siberian and Benegal tigers, leopard, jaguars, pumas and more), zorilla, hyena and honey badgers, Junkani Wildlife Sanctuary is an eye-opening, once-in-a-lifetime experience for one and all. The only sanctuary of its kind in the Garden Route, it is a conservation wildlife park, which gives animals the freedom to run, play and explore. There are daily tours (from 9:00 am – 4:00pm), which are conducted in all weather conditions and which provide great insight into all Junkani’s animals. The world’s first free-roaming, multi-species primate sanctuary of Monkeyland offers tours, and comprises of more than 550 primates. This primate sanctuary presently houses some 18 different species, 11 of which roam freely around the 12-hectare forest that makes up Monkeyland. The other seven are housed in large cages within the main forest or else, call the nearby Birds of Eden home. There is also an excellent, 128-metre suspended canopy walk, restaurant, souvenir store and viewing deck, with multi-lingual guides on-hand to provide insight into these amazing monkeys. Plettenberg Bay is all about the beach, with surfing, bodyboarding, sun tanning, swimming and more on offer in this sun-loving, seaside city. 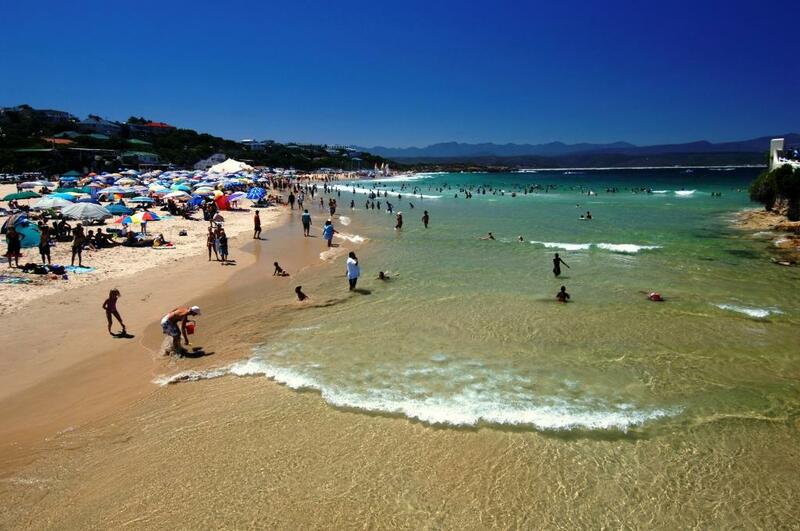 The three most popular and beautiful beaches in Plett are Central Beach, Robberg Beach and Lookout Beach. Each of this beach trio offers something different: Central Beach is great for families and sunbathers, with lifeguards on duty for the swimmers; Lookout is popular among SUP paddlers and surfers – and finally, Robberg is wonderful for long walks, beach runs and even paddle skiing. This private nature reserve, some 7km outside of Plett, is the ideal place for birding. Owners Brian and Liz Philips have ensured a delightful fynbos home for all kinds of birds, providing a rustic, yet natural environment for these feathered residents. Birds are partially habituated so photographers will have the chance to take numerous shots, as birds visit feeding trays and birdbaths dotted about the grounds. With a list of roughly 90 species, every inch of the property is overflowing with birdlife, fynbos and proteas. Tick everything from Pin-tailed Whydas to Forest Canaries, Sunbirds, Sugarbirds and even Fish Eagles off your list. Fynbos Ridge is also one of only three bird-friendly establishments in Plett, as approved by BirdLife South Africa. Experience the amazing Tsitsikamma Forest on horseback with Hog Hollow Horse Trails. Choose between either a one-hour-long farm trail, with views out across the mountains and forest, or enjoy a two-hour-long forest trail, a three-hour-long private nature reserve trail or even a half/full day Cruise The Crags Trail, which will see you riding to various nearby attractions on horseback. Booking is essential and comfortable clothing, sunblock and closed-in shoes are highly advised. If you’re looking to enjoy some close encounters with these gentle underwater mammals, particularly during Whale Season, by chartered boat – then Ocean Blue Adventures is your answer. Enjoy awesome, permitted whale watching, as well as possible dolphin and other sea animal sightings, and get a brief history of the area too. Trips last between 1.5 and 2 hours and no guaranteed sightings are given; booking is advised. The national monument and nature reserve of the Robberg Peninsula: Robberg Nature Reserve offers limited rock and surf angling, with permits from the Marine and Coastal Management available from Cape Nature. So while you can enjoy some fun recreational fishing, please be advised that bait-collecting, fishing from boats and spearfishing are entirely prohibited. Offering African elephants and an interactive experience (which can include elephant back riding), the Elephant Sanctuary at The Crags, is dedicated to elephant conservation and allowing guests to enjoy intimate experiences with these huge mammals. Guides are committed, well-trained and insightful and will help you to interact with, ride and even touch the elephants. Opened in 2008, Radical Raptors is a rehabilitation centre, which aims to create community awareness on the rescue, rehabilitation and release of noble birds of prey. Operating directly under the rules and regulations laid down by Cape Nature Conservation, Radical Raptors is a caring, yet exciting experience. Visitors are invited to enjoy a flying display, which sees a variety of trained, non-releasable birds of prey flying around freely, allowing guests the chance to admire, photograph and watch these magnificent birds – weather permitting. Every Saturday, this rural and rustic, but also ultra-vibey, market takes places in the heart of the Garden Route. It’s a mix of flea-, craft- and farmers’-market combined and offers an all-round South African market experience. There is a wealth of stalls, with the likes of organic food, jewellery, woodwork, clothing, flowers, music, books and more on offer. 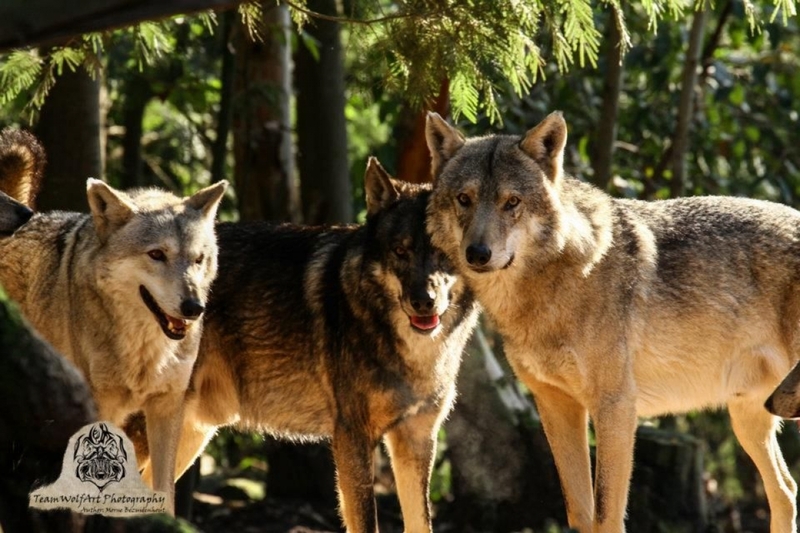 Situated between Knysna and Plett, this exciting sanctuary offers interactive tours that take visitors through wolf enclosures, offering a truly unique and intimate experience. Aside from the wolf packs, there are also friendly wild dogs and huskies awaiting to greet guests. You can enjoy a guided tour, which runs for +/- 40 minutes, with no prior booking required. There is also a touch farm, with farmyard animals, and a restaurant, offering breakfasts and light meals. Selling hand-made ceramics crafted by fire, Porcupine Ceramics makes ‘raku’-fired ceramic art pieces, inspired by African art and animals. Items include sculptures, plates, pots and other goods, all of which reflect the colours and traditions of our wonderful continent. Products are produced by a group of local artisans, who have been trained and mentored by Porcupine since 1994. Visit The Mill, a factory shop and studio, at The Crags and enjoy a tour of the working studio daily, from 9:00 am – 5:00 pm. As mentioned earlier, Plett is a surfers’ paradise and, with so many great beaches, it’s only natural for those keen on surfing to flock here. Even if you can’t yet surf, there is hope with Learn to Surf Plett. This locally owned and operated surf school offers lessons for surfing and stand-up paddle boarding, taught by passionate people, with a love for surfing and the ocean. Learn to Surf Plett is suitable for those of all ages, though booking is required. Experience unique canyoning, kloofing and gorge-walking with AfriCanyon. Discover the fun of canyoning/kloofing in the amazing Crags, try optional jumps, navigate deep gorges and even takr a cool, rock-pool zip line. All professional equipment is provided but bookings for those 10 years and older is essential. Situated some 8km outside of Plett, you will find the beautiful Robberg Nature Reserve. This national monument and World Heritage Site is one special place and no visit to Plettenberg Bay is complete without having successfully explored some of Robberg Nature Reserve. There is an assortment of hikes, walks and wildlife to be seen and enjoyed when visiting this reserve and for those who wish to linger longer, there is even an overnight hut to stay in. These are just some of the top activities you can enjoy when you visit the paradise-like Plettenberg Bay in the Cape’s most gorgeous Garden Route. Author LaurenPosted on May 2, 2017 May 2, 2017 Categories The best of South AfricaTags Adventure Land, AfriCanyon Adventures, Big 5, Birds of Eden, elephant sanctuary, Garden Route, Garden Route Wolf Sanctuary, Harkerville Saturday Village Market, Hog Hollow Horse Trails, Jukani Wildlife Sanctuary, Monkeyland Primate Sanctuary, Plett Game Reserve, Plett Puzzle Park, Plettenberg Bay, Porcupine Ceramics, Radical Raptors, Robberg Nature Reserve, South Africa, whale watchingLeave a comment on Top 20 activities in Plettenberg Bay 2017. Top Must-do Activities in Cape Town 2017. Cape Town is a city that offers both indoor and outdoor activities to suit all tastes, senses of adventure and travel budgets… but some are just too iconic or unusual to miss out on! Table Mountain is one of the city’s crowning glories, and as such, it’s a must-visit for tourists and locals alike. If you’re not up for a hike up the Table, why not catch the cable car up and then abseil back down? Abseil Africa is one of the best companies around. You’ll have to follow a rope 112 metres or so down, in what is a safe, guided abseil, which is, coincidentally, the world’s highest commercial abseil offering. It costs R995 per person (excluding Cable Car ticket). No visit to Cape Town is complete without experiencing the world-renowned Two Oceans Aquarium. Adults and children alike will delight in the wonders of the sea. Find Nemo, see the penguins or go for a dive… either way, you’re in for a fun and educational underwater experience! Tickets are R135 (adults), R100 (children 14-17 years, pensioners and students) and R65 (children 4-13 years). Located within and near to the city’s well-loved, historic Company’s Gardens, you will find the South African National Gallery, Houses of Parliament, Iziko South African Museum, Planetarium and Slave Lodge. All are worth a visit and on certain days, such as Heritage Day (24 September), you can enjoy these wonderfully historic and engaging places for free. Woodstock is fast becoming the Mother City’s go-to art hub, as buildings are being restored, warehouses transformed and artists descend on the area like never before. Here, why not visit the likes of the international-influenced Stevenson Gallery, among others, for some sophisticated and unique art appreciation? Experience the Mother City from the air as you choose from several amazing flight options, including: Hopper, Atlantico, Two Oceans, Robben Island, Three Bays and Cape Point Tours. Costs range from R3, 240–R25, 800. Surfing (be it traditional surfing, or kite/wind surfing) is very much a popular Cape Town activity and surfers’ haven, Muizenberg, is considered the best spots to learn to surf in South Africa. Although you will no doubt find a number of local surfing schools, Learn 2 Surf is a good bet, as they are ideally based at Muizenberg Beach. They offer small group or private lessons, weekly, and are open every day of the year, weather permitting. All equipment is included in the fee. To enquire after Learn 2 Surf’s prices, please fill out the ‘Prices & Info’ form on their site and buy/book your lessons confidentially online. Cape Town-based Kaskazi Kayaks offers wonderful kayaking experiences and close encounters with sea birds, seals, dolphins and during whale season (July to December usually), you can even see the whales too! Their shop is based in Three Anchor Bay and from there, they embark on a 3-5 km journey towards either Clifton Beach or Granger Bay. Trips are approximately two hours long. If you have prior kayaking experience, you can arrange a half-day trip too. Booking is essential and all trips are weather-reliant. To find out the cost per trip, please contact Kaskazi Kayaks directly. 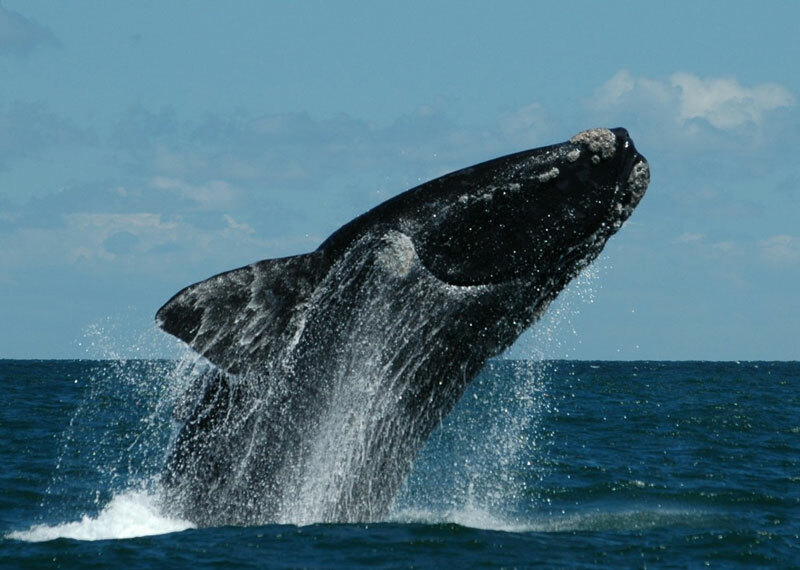 Of course, the whale capital is Hermanus – but that’s not the only place in the Western Cape to see the wonderful whales. Areas along the False Bay coastline are also prime whale watching spots and the best part is, you can view the whales from land or shore for free! Recommended spots along the False Bay coastline include: Muizenberg, Kalk Bay, St James, Fish Hoek and Simon’s Town, as well as Cape Point. This activity has certainly grown in popularity and is great for both children and adults alike. Up Cycles is your recommended service provider; they charge R60 (per person) for one hour and R90 for two etc. You can cycle as far as the Waterfront, if desired – and helmets and locks are included. 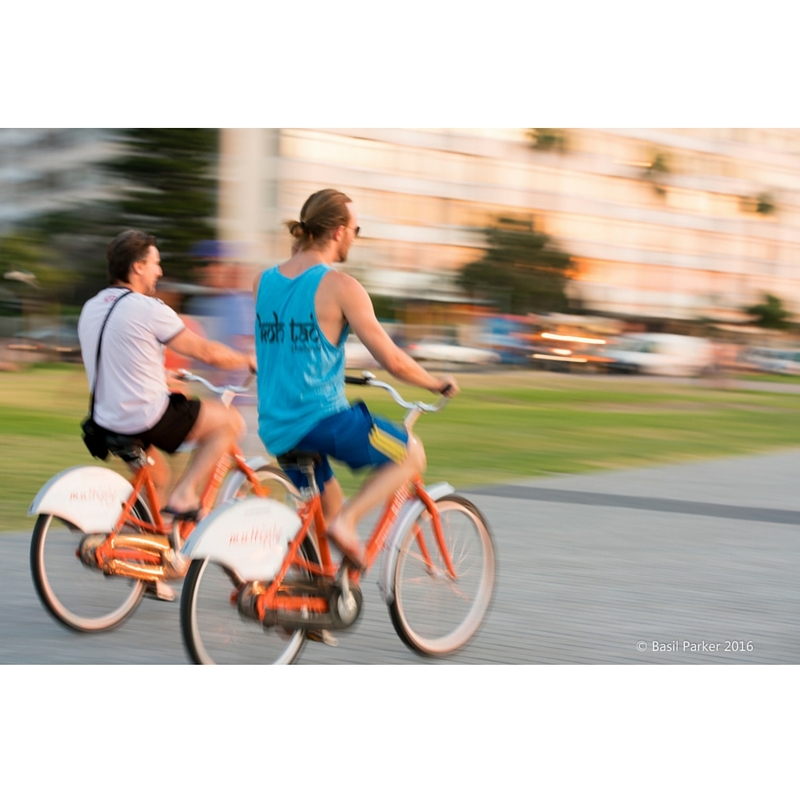 Ride along the Sea Point Promenade at a leisurely pace and maybe even catch the sunset. Experience the fun and beauty of snorkelling with Cape Fur seals on the city’s Atlantic side, at Duiker Island, Hout Bay. Cost is R550 (per person) to view and R800 (per person) to snorkel. CitySightseeing bus tours have grown in popularity and numbers in recent years and now offer an excellent array of tours. These include (to name a few): Harbour Cruise Tour, Purple Wine Tour, Sunset Bus Tour and even a Cape Point Explorer Tour! Cost varies depending on tour but can be anything between R40–R550 per person (adults). Address: 81 Long Street and The V&A Waterfront, near the Two Oceans Aquarium, Cape Town. Drive the world-famous Chapman’s Peak Drive on one of the world’s most iconic motorbikes: the Harley Davidson when you opt in for the Cape of Good Hope Tour. 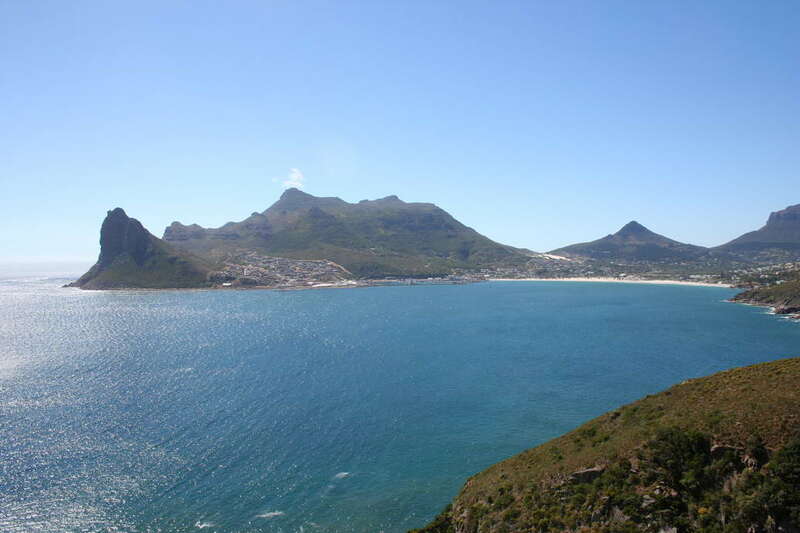 It covers approximately 180km, stretching from Hout Bay to Simon’s Town, and is weather dependent. With Cape Bike Travel, you can rent and drive a Harley yourself, or enjoy a chauffeured ride. Cost for self-driven trip is R2500 per rider, while chauffeured rides cost either R1, 600 (half-day) or R2, 100 (full day). The Mother City has a number of hotels, which offer “high tea” (more commonly referred to as afternoon tea these days). They are hugely popular and are great fun for adults (and teens). Costs vary but you can generally expect to pay R200-300 per person as you feast on savouries, an assortment of tea (or coffee), macaroons, cakes and so much more in a luxury setting. The Belmond Mount Nelson, The Taj Hotel, One&Only Cape Town, Cape Grace Hotel and 12 Apostles Hotel all offer excellent high/afternoon teas. For more information, contact the above-mentioned hotels directly or visit their websites. 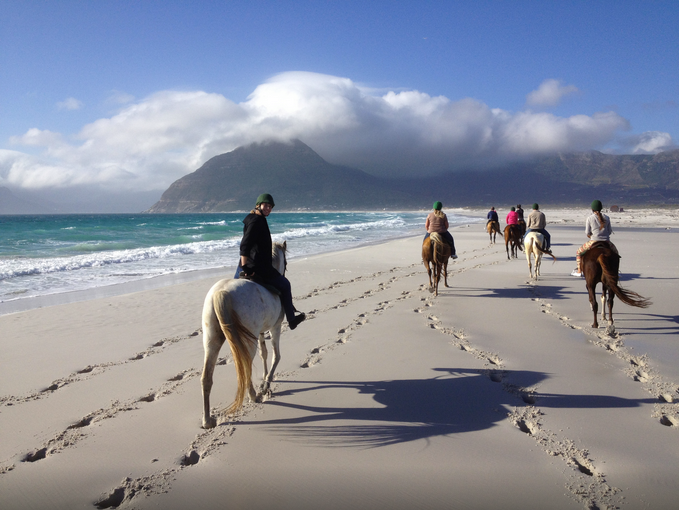 Situated at the charming, historic Imhoff Farm, near Kommetjie, is the Imhoff Equestrian Centre, where you can enjoy beach horse rides. Booking is essential. To enquire after the cost per person, please contact them directly. Simon’s Town is home to the beautiful Boulders Beach. Here, a colony of African penguins have taken up permanent residence. Boulders is one of the few places in the world where you can walk among and swim with these tuxedoed dudes. Boulders Beach is a protected SANParks beach so there’s an entry fee. Current costs (valid until 31 October 2017) are R70 (per adult) and R35 (per child). Lying at the southern section of the vast Table Mountain National Park (or TMNP), Cape Point is a truly life-changing destination. Visit the historic, old lighthouse, see the Chacma baboons, dine at the scenic Two Oceans Restaurant or explore the Cape of Good Hope. Whatever you choose to do, you’re sure to enjoy a day of true Cape adventuring in one of the most beautiful spots on the globe. Cost is R135 (per adult) and R70 (per child, ages 2-11). The amazing Kirstenbosch National Botanical Garden is one of the city’s proudest and most well-loved public spaces. It’s a wonderful, vast place to explore with friends and loved ones alike. Enjoy a picnic, Summer Concert or strolling among the plants in this 528-hectare reserve. Entry fees are: R60 (adults), R30 (SA students) and R15 (children 5-17 years). Free to pensioners (with ID), except on public holidays. The (free) hike up Lion’s Head is one of the city’s most popular activities now. Perfect any time of day (though it’s best at sunrise and sunset), even during full moon, this 1-2-hour-long hike is a must. Reach the summit or see if you can discover one of the mountain’s cave, particularly the well-loved Wally’s Cave. There are two routes as you near the summit… so opt for the one without the staples and ladders if you’re afraid of heights. The former prison, where late, former president Nelson Mandela and so many others were held captive during the Apartheid Era, is one of the Mother City’s chief tourist destinations. Boats leave daily from the Waterfront. The guides will provide you with an insightful tour, especially as so many of them are former prisoners themselves. Cost is R300 per person. 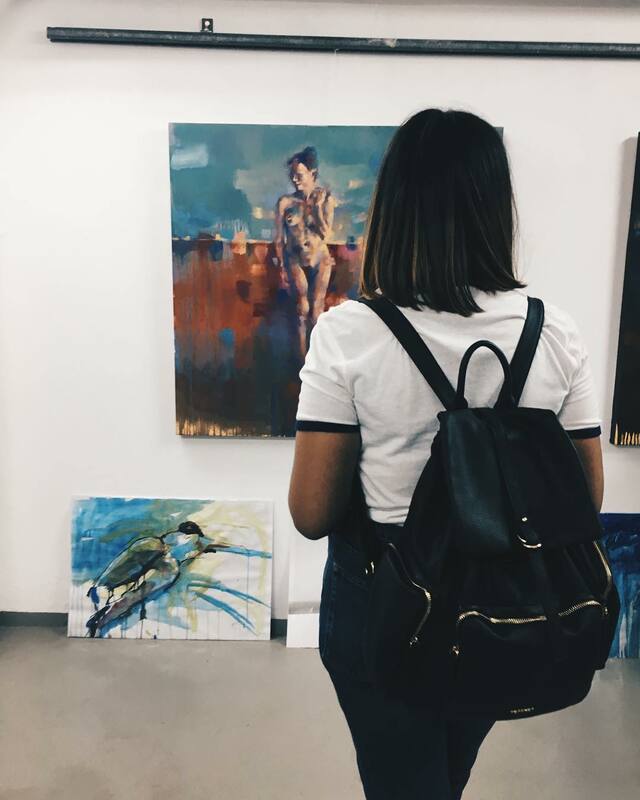 On the first Thursday evening of every month, the city’s art galleries in Bree and the CBD come alive, opening to the public, permitting free entry and fun exploration. This highly popular event now sees many restaurants and cafes joining in on the fun, so you can enjoy a tasty meal with the art. Each month brings exciting changes, new participating venues and fresh exhibitions – so save the date! 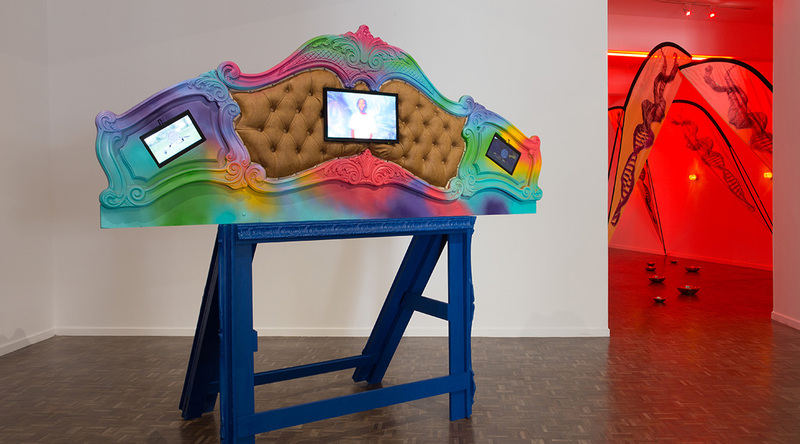 Galleries are open from 5pm – 9pm (if not later) and remember: entry is free! 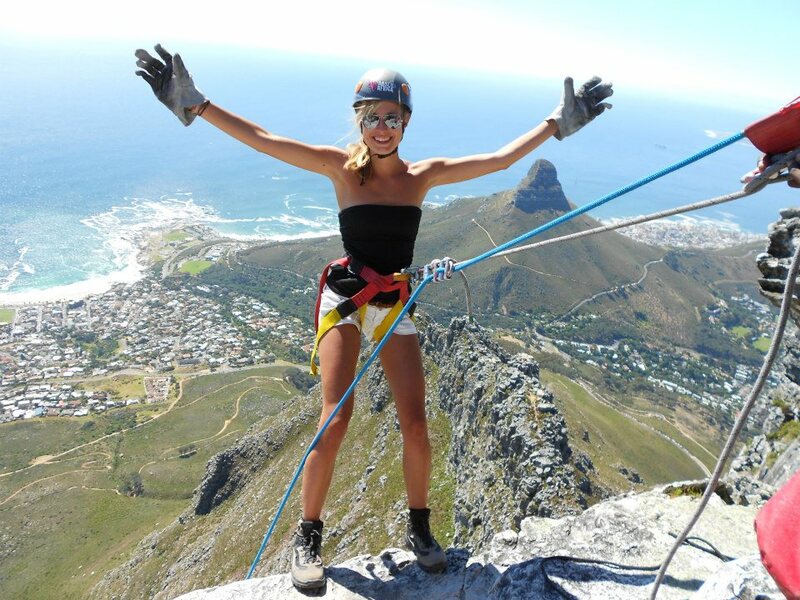 These are just some of the amazing activities you can enjoy in the Mother City, whether you’re a culture vulture, adrenalin junkie or nature lover… there’s something for everyone to enjoy experiencing, both indoors and out, in 2017. Author LaurenPosted on March 25, 2017 Categories The best of South AfricaTags art galleries, Cape Town, Chapman's Peak Drive, False Bay, First Thursdays Cape Town, Harley Davidson, Imhoff Farm, Lion's Head, Mother CIty, Robben Island, Sea Point Promenade, Stevenson Gallery, Table Mountain, Two Oceans Aquarium, whale watchingLeave a comment on Top Must-do Activities in Cape Town 2017.